When Big Tom got off the boat in America, he was free of preservatives, low on sodium, and a satisfying drink on his own.  The best Bloody Mary mix of all time, Big Tom is made with twenty-one ingredients from around the world, and brings with it the sophistication of time honored tradition of European Pub Life. Today, Big Tom is distributed by William King. William is the son of Ruth and Bill King, who are responsible for bringing Big Tom to the United States. William's store (Wm King Clothiers, located in historic Downtown Bristol Tennessee) was consistently one of the most successful stores in selling Big Tom. He is continuing the tradition of his family's wishes as the distributor for Big Tom in the United States. Big Tom is warehoused and shipped out of our facility in Bristol, Tennessee. Teresa West , who has been a vital part of Big Tom for over 16 years, handles all of the accounting and shipping. She is always available to help you with any questions you may have. If you are in search of the BEST Bloody Mary mix you needn't look any further. The King family of Bristol Tennessee are true, home grown Bloody Mary aficionados. Years were spent in waste trying to find the perfect Bloody Mary mix. Finally, when it seemed all was lost to mediocrity, the King Family stumbled upon Big Tom while overseas on business in 1998. From that day on, the King family has been working hard to bring this amazing product to the United States. Big Tom is the perfect Bloody Mary mix not only because it is all natural and perfectly balanced, but it's also wonderfully sophisticated, spicy, and satisfying as a drink all by itself. In 1996, the same scenarios that had frustrated the King family was frustrating Lawrence Mallinson of James White Farm Pressed Fruit Juices. There simply was not a satisfactory Bloody Mary mix readily available on the market. 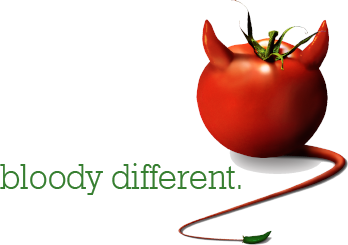 To remedy this matter, James White set about trying to create a Bloody Mary mix that was not only satisfactory, but challenged the market as a whole. To say they were successful would be an understatement. In 2002 Big Tom Spicy Tomato Juice was granted a coveted Royal Warrant for their supplying of The Royal Family for no less than five years. This product, and the parent company, continue to enjoy marked success as their brand spreads across America. © 2009 - 2019 Big Tom Beverages. All rights reserved.